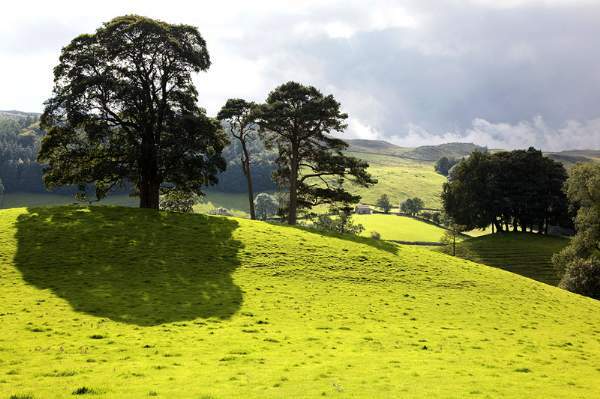 Dentdale, within the Yorkshire Dales National Park, is between the town of Sedbergh, and the village of Dent, is possibly the finest of the Cumbrian Dales, a valley full of beauty and historic interest. It is a farming community, with scattered homesteads, each sharing the fell and valley floor, owing much to the settlement patterns of the Vikings who came here in the 10th century. The Dales Way long distance path runs along the length of the valley, as does the River Dee. The Dent Fault cuts across the valley close to the village of Gawthrop, marking a geological boundary between the Carboniferous Limestone of Deepdale, and the Craven Dales to the south, and the older Silurian and Ordovician rocks of the Howgill Fells to the north. Dent is the only village in Dentdale, with its delightful cobbled streets. A fountain of pink granite in the village centre, where the three cobbled streets meet, commemorates Dent’s links with Adam Sedgwick, (1785-1873), professor of geology at Cambridge University, who was one of the greatest field geologists of his time. A Wainwright said in his ‘Pennine Journey’ that “Dent is not of this world. It’ a fairy tale and who believes in fairy tales these nowadays? It’s a place of cobbles, of jutting gables, overhanging roofs, quaint alleys, wooden galleries and outside staircases”. After Dent, the valley winds its way through Cowgill, on its way to Dent station, some 4.5 miles from the village. Dent is the highest railway station in Britain, at over 1100 feet above sea level, on the famous Carlisle to Settle Railway. The line crosses the huge viaducts at Arten Gill and Dent Head, built of massive blocks of Dent ‘marble’, from the now-disused quarries nearby, before going through the Blea Moor tunnel to Ribblehead viaduct. At Cowgill is one of the most remote breweries in Britain – The Dent Brewery, brewers of award winning ales that can be bought in any of the three pubs in Dent. Brewery trips are available. 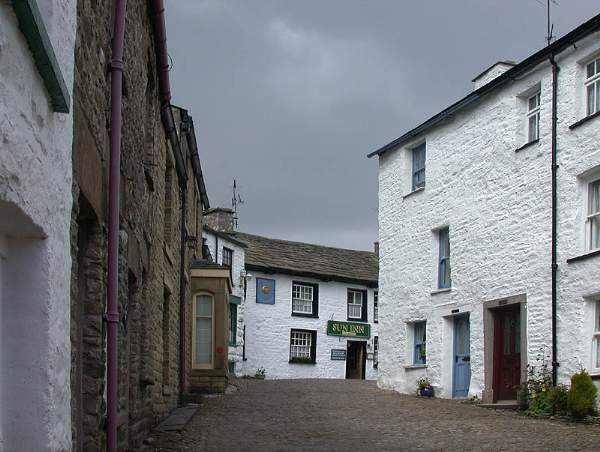 At the Dentdale Heritage Centre, visitors will find a wealth of information on the working lives and social customs of the Dalesfolk who inhabited this beautiful area in times past.